This will literally make Parks and Recreation fans’ day. Over the weekend, Chris Pratt and Rob Lowe had a Parks and Rec reunion that they were kind enough to share on Instagram for their followers to enjoy. 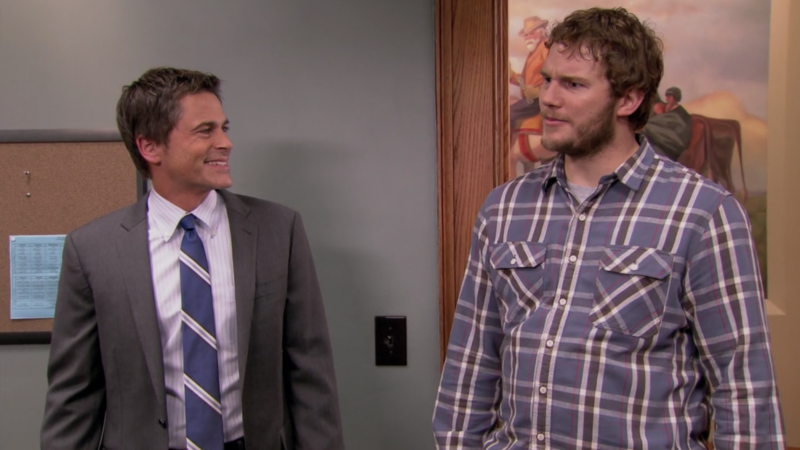 That’s right, Andy Dwyer and Chris Traeger were once again in each other’s presence — and all for a special occasion. Birthday weekend golf with the boys. In addition to golfing, Lowe went out to dinner with his family and friends in tow. Actually, the birthday dinner included Pratt and another special someone. Yes, Katherine Schwarzenegger, was also in attendance. In a now expired Instagram Story shared by John Owen, there was a glimpse of Schwarzenegger at the dinner. Lowe’s son uploaded a video of everyone singing “Happy Birthday” to his dad. Well, the camera quickly captured Schwarzenegger sitting next to Pratt and the two passionately singing the birthday song for Lowe. Try and guess who won… spoiler: it wasn’t me. It only makes sense for Schwarzenegger to be there. Why wouldn’t she? Since she’s engaged to Pratt and Lowe’s birthday dinner included family and friends, the author would of course be part of the celebration. Seeing as Pratt and Schwarzenegger are close with Lowe and his family, there’s a good chance their wedding will serve as yet another opportunity for a Parks and Rec reunion. It’s unclear if the couple is having a big wedding or choosing to keep their nuptials intimate, but, whatever the case, let’s hope part of the cast is invited. Or, you know, at least Lowe, because as he proved time and again on the NBC comedy, Chris Traeger was a fantastic and enthusiastic dancer. Real Talk: Are Jon & Dany Going to Kill Each Other Before Game of Thrones Ends?